German-American businessman Levi Strauss and his partner Jacob W. Davis have the claim to fame of inventing blue jeans in 1871. 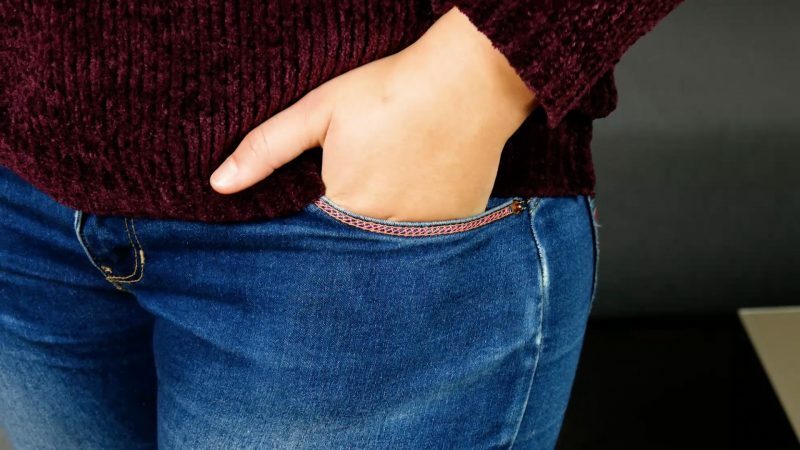 And while they were initially intended to be used as work pants for factory workers, gold diggers, and farmers, the popular piece of clothing has since evolved into a fashion icon in its own right. 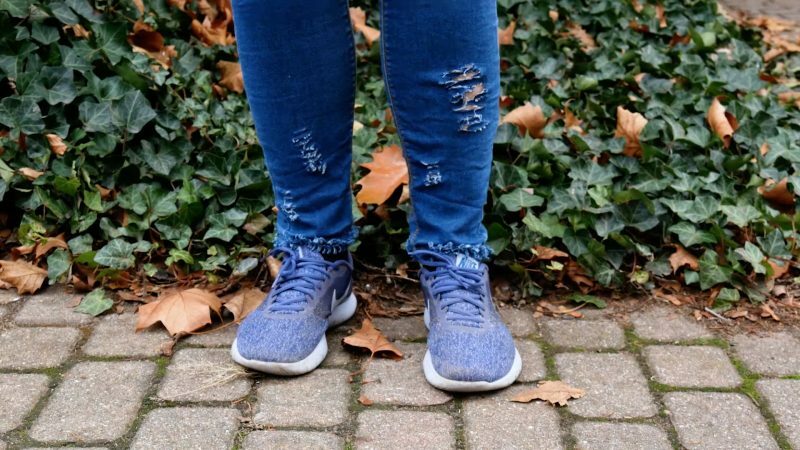 What we love most about jeans is how versatile they are – not only in cut and style, but also in personal design — as the following 7 tips and tricks to upgrade and restyle your jeans will undoubtedly prove. 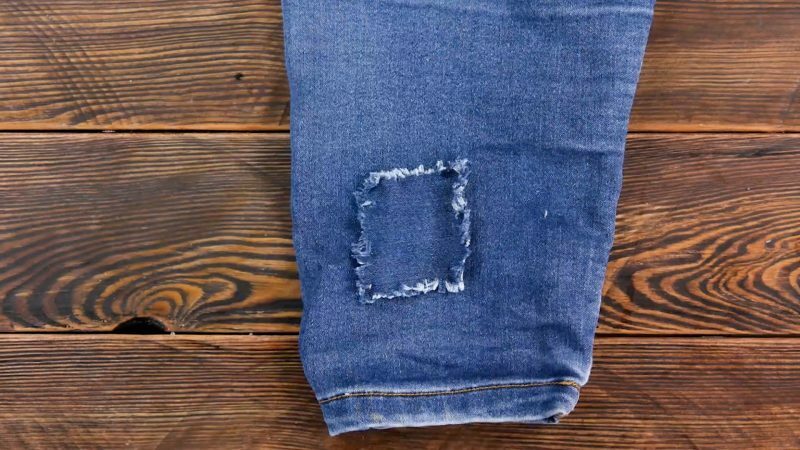 To cover a hole or add a decorative spot, sew a patch on the pants as seen in the video. Then make small cuts in the edge of the patch and rub the fabric together to fray the edge. 2.1 Cut the hem off both pant legs. 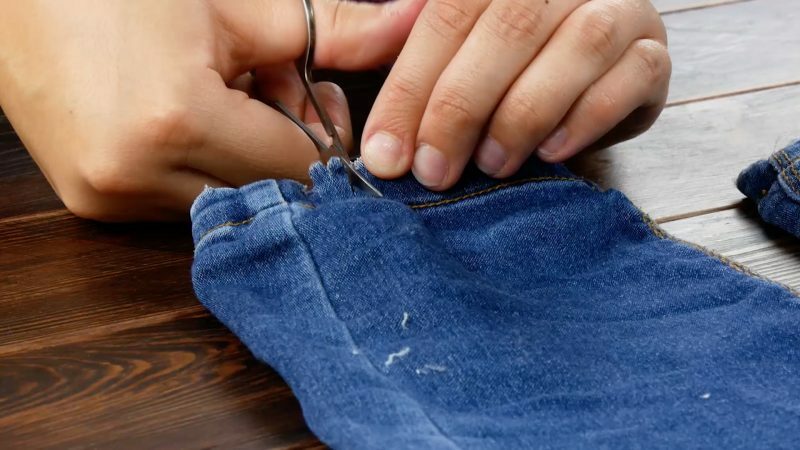 2.2 Slit the pant leg open and use tweezers to pull individual threads of the top fabric layer along the cut. 2.3 Tie the threads into a bow. 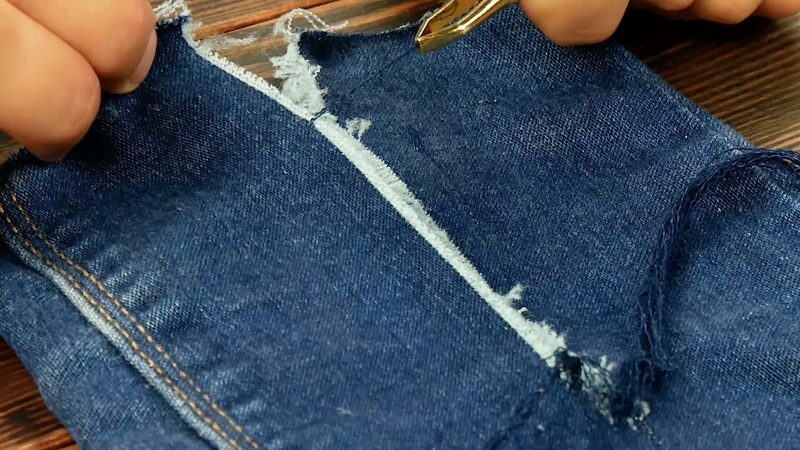 3.1 Open the leg hem with a stitch ripper. 3.2 Make small vertical cuts in the hem and rub them together. 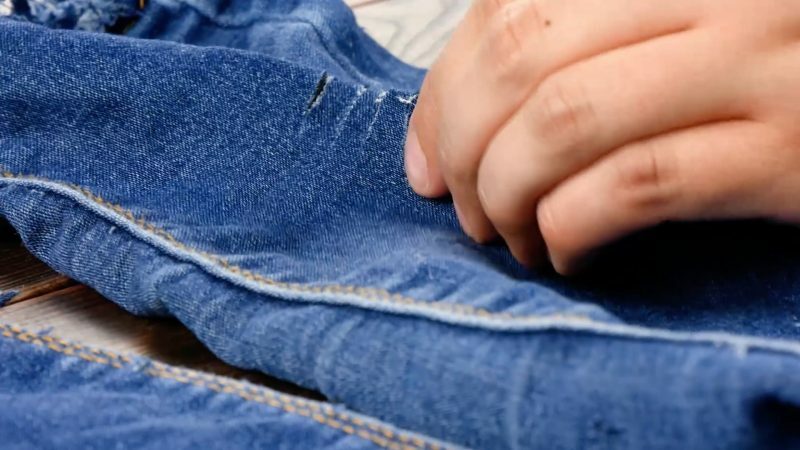 3.3 Make some horizontal cuts in the pant leg and rub them together as well. 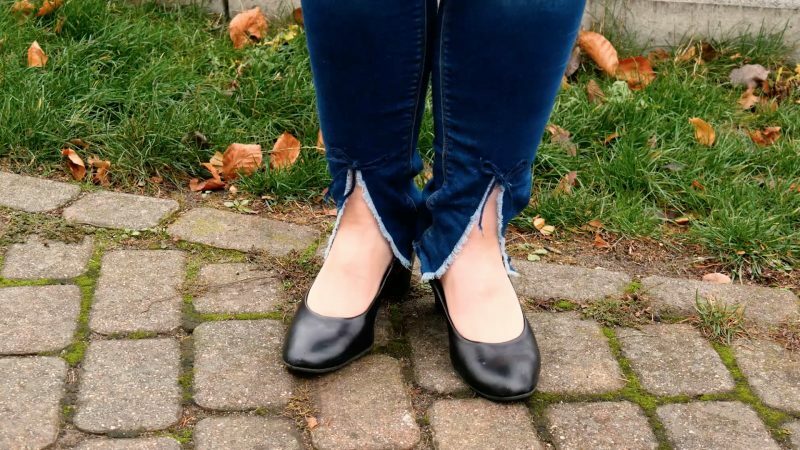 3.4 So you can give your jeans the destroyed look, which makes a big deal especially with tight fitting pants. 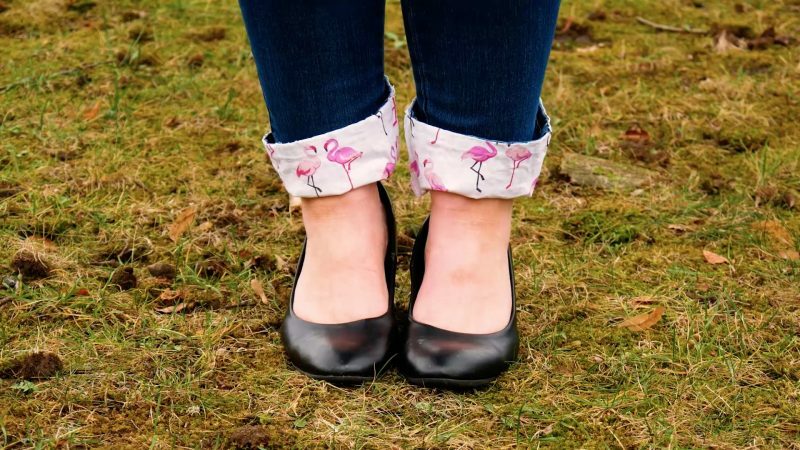 Flip the hem of your jeans up and sew a piece of fabric with the printed side up on the seam edge. 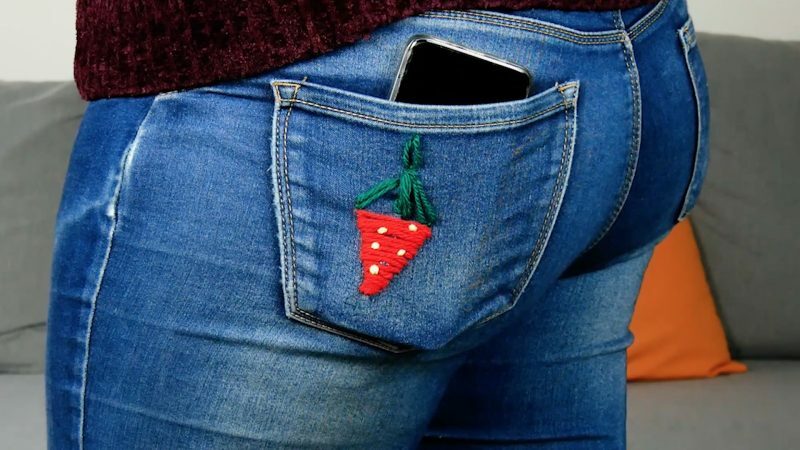 Now your jeans will be one of a kind! 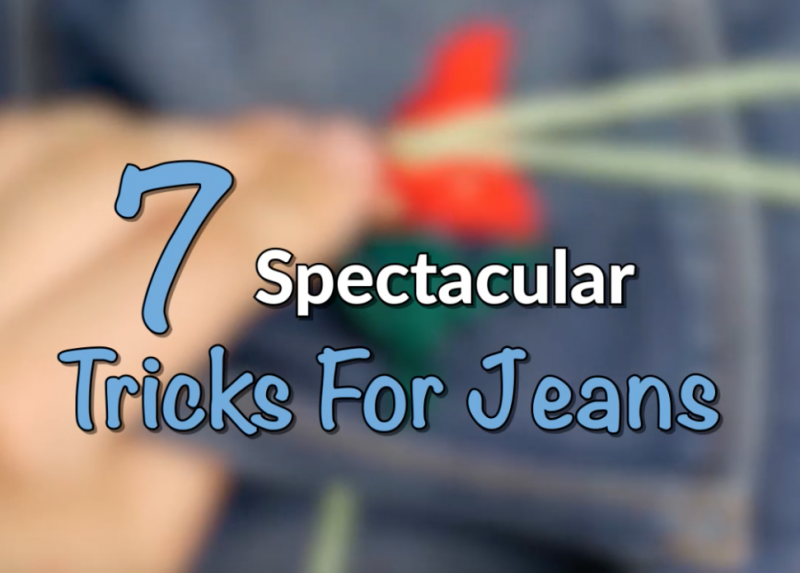 Embellish the edge of your jean pockets by cross stitching a colorful thread along the stitch of your pocket. You'll be the talk of the town! Instead of patching a hole, try putting a unique and personalized embroidered design over it. Follow the steps in the video for this cute strawberry look! 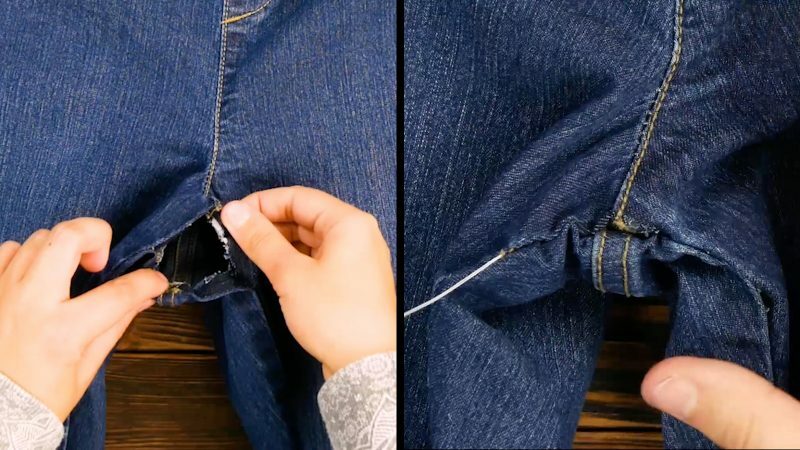 A hole in the crotch of your jeans is best fixed with a blind stitch. Nearly 150 years later, and this fashion staple is going strong! 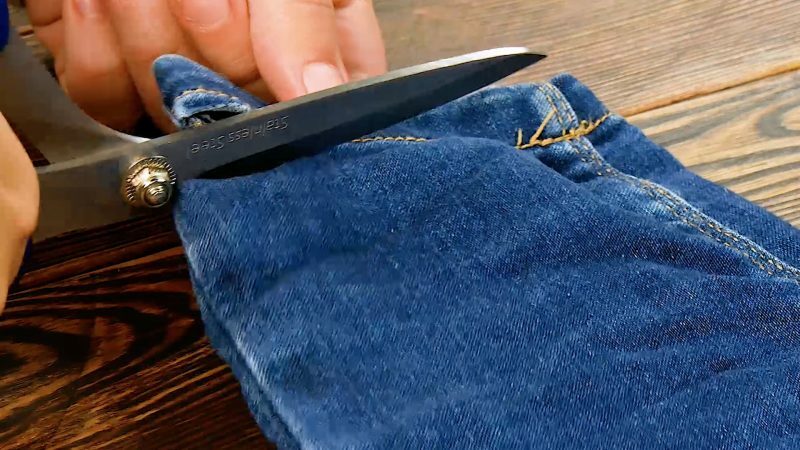 If you're looking for another handy arts and crafts project, learn how to turn your pair of jeans into a DIY tool belt or gardening apron here.